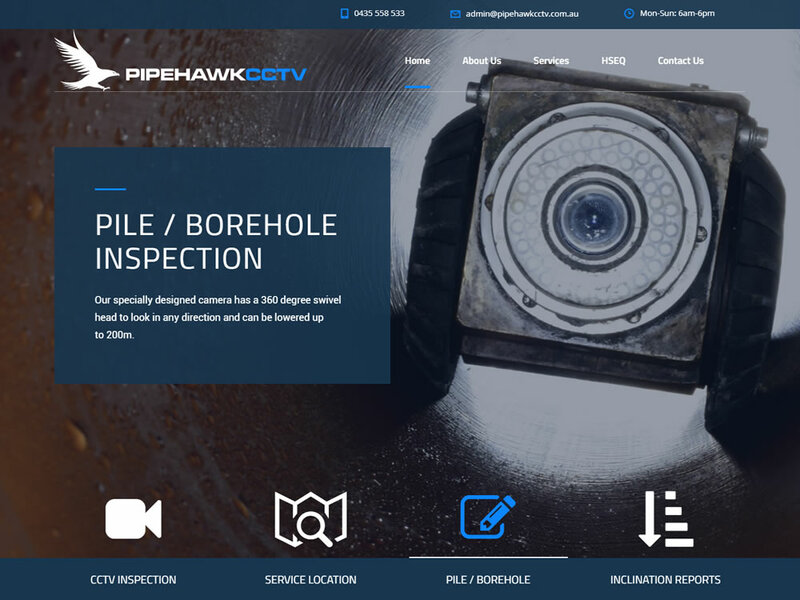 With a new business just starting up, the guys at Pipe Hawk knew they needed a website to keep up with the competition. On recommendation, they came to Dash Designs looking for a complete business start-up. We created a Logo, branding and an initial website to get them started. 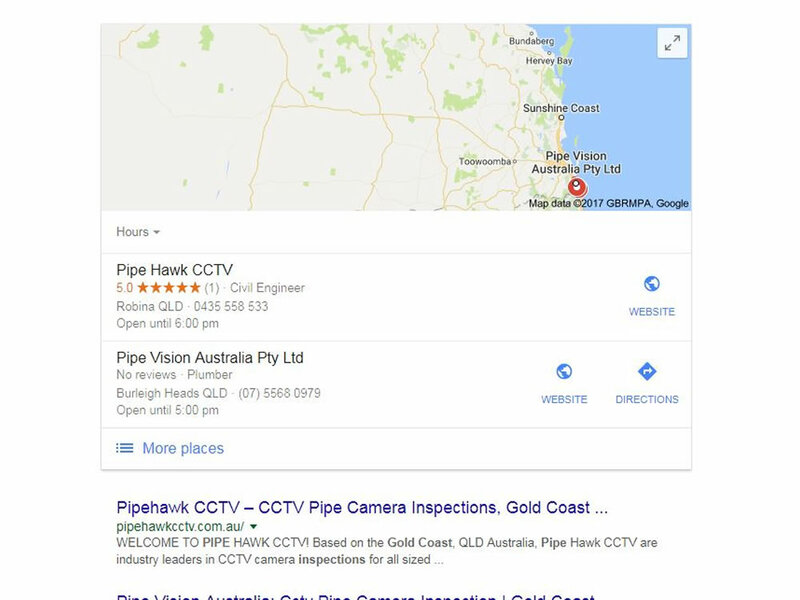 The Pipe Hawk CCTV was complete Search Engine Optimised by Dash Designs to give them the best possible organic results in Google, and sure enough, they were page one listing for their desired keywords and phrases. 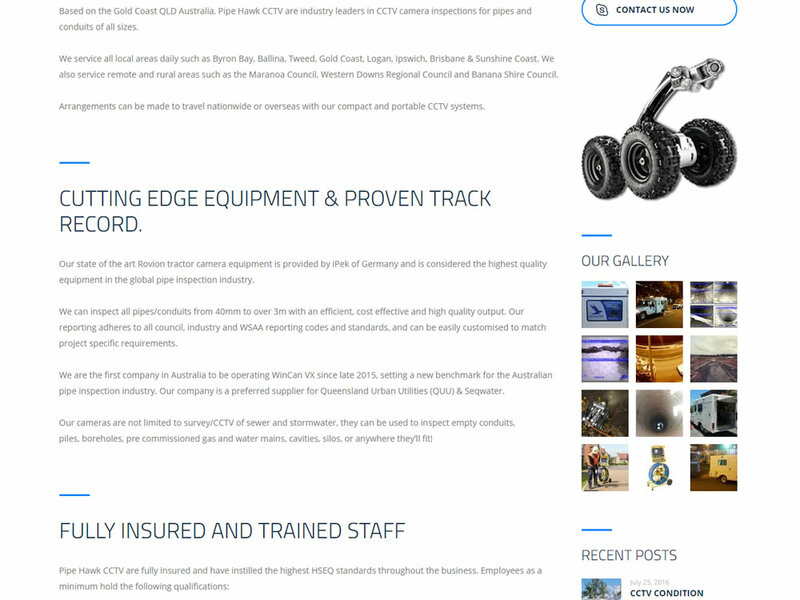 With such a good ranking, business was doing well, so they came back to us for an update on their website to give it a fresh new look. 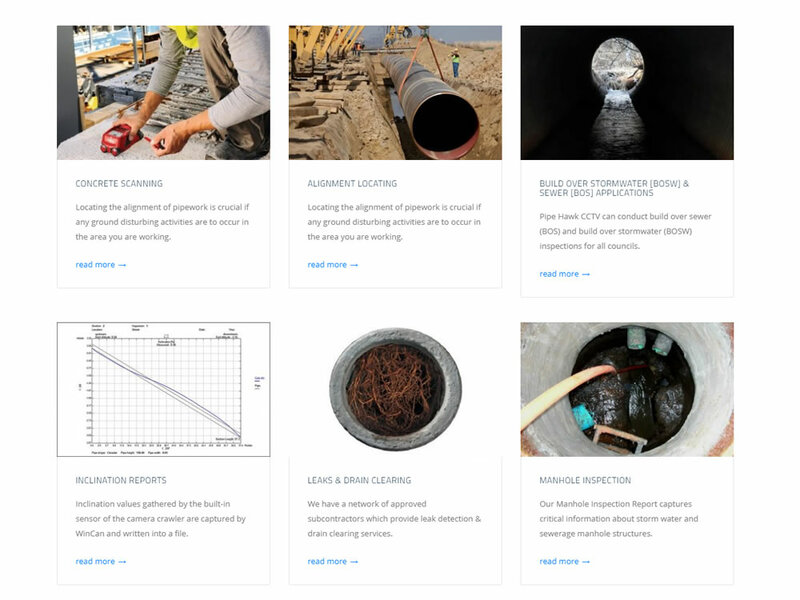 In 2016 we created a brand new look and feel for their website and added to the already well performing SEO (a new website from the ground -up without losing any of the existing Google ranking). The company is number one listing for their industry.